The Rossmoor Homeowners Association (RHA), the Rossmoor Community Services District (RCSD) along with our local and state public safety agencies have established the Rossmoor Wildlife Watch Program to assist Rossmoor residents in reducing the threat coyotes pose to Rossmoor and deal with any coyotes that become habituated or imprinted. What should I know about coyotes? Coyotes are the preeminent predator in North America and are exceptionally adaptable and cunning, with a keen sense of smell, sight, and hearing. Primarily a nocturnal predator, they have been seen in the middle of the day. Nights and early morning, however, are the most likely times that they are active. In suburban environments, they tend to live in abandoned buildings, under woodpiles, in heavy brush along freeways and in storm drains. Adult coyotes generally weigh between 25 and 40 lbs. Coyotes hunt up to 10 or more miles. They are classified as omnivores (they eat animals and fruits and vegetables), although they consistently practice carnivore habits. In suburban environments like Rossmoor, coyote “food” generally consists of small wild animals (rabbits, squirrels, rats, gophers, lizards), pets (primarily cats, sometimes small dogs), fruit (melons, peaches, apricots, plums, apples, avocados, berries), pet food left outside or in open buildings, and garbage. 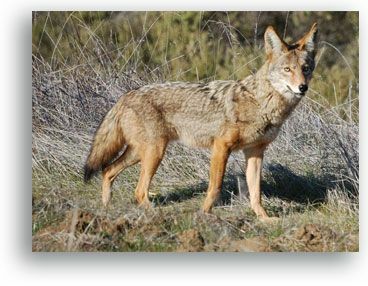 We believe the coyotes seen in Rossmoor come from the Los Alamitos Joint Forces Training Center, El Dorado Park and the Hellman Ranch (and surrounding) wetlands, but in truth, they could be living in Rossmoor. A good article and background on coyotes can be found here from the UC Integrated Pest Management Program. Coyotes have been in or near our area since before Rossmoor was first built and are indigenous to this region. They generally stay hidden due to their nocturnal habits and use of vacant or open land, however, the frequency of their sightings and apparent pet killings appears to be increasing in the past few months. Although coyotes rarely attack humans, the coyotes in Rossmoor appear to be getting increasingly bold. Moreover, once they learn that a type of prey is easy, they come back. They have learned that cats are easy prey. In Rossmoor, coyotes have been seen multiple times in a resident’s backyards and in other locations, in the center of Rossmoor, on a neighbor’s porch and at each of our schools and parks. As John Trout, Jr. says in his book, Solving Coyote Problems, once a coyote loses its fear of humans, it becomes dangerous and a problem coyote. The only real long-term solution is to remove possible coyote food sources and strictly practice coyote prevention measures. In order for us to assess the threat, we need your assistance. Please report any sightings to the Rossmoor Wildlife Watch Program or by phone 562.521.9453 and provide your name, phone number, time and date of the sighting, along with a brief description of what you saw. 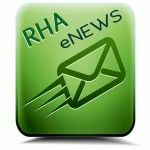 The Rossmoor Wildlife Watch volunteers will summarize the reported sightings and pass them along to the county and state agencies on your behalf. Remember, Orange County Animal Control will only respond to coyote sightings if the animal is injured or there is a threat to human life. If a person is attacked by a coyote, call 9-1-1 first. Then, please report any injuries or threats, to OC Animal Care 714.935.6848. What can I do to protect myself, my family and my pets? 1. Do not let small children play outside without supervision, particularly in the early morning or at night. 2. Do not let your small pets (cats and small dogs) roam free outside, even in your backyard, unsupervised, especially in the early morning or at night. (a) Never feed coyotes or any other wild animal! Feeding of coyotes or any other wild animal is against the law (See Title 14, California Code of Regulations 251.1). Simply stated, “A fed coyote is a dead coyote,” because once they learn that humans are a source of food, they stop hunting for their native foods, become a “problem” coyote and the State is forced to kill the problem coyote. (b) Do not feed your pets outside or leave pet food or water bowls outside. (c) Do not feed wild birds, coyotes are attracted to feeding birds and the squirrels and other animals that are attracted to feeder locations. (d) Secure your pet doors at night. (e) Properly secure your garbage in containers (not just plastic bags) and if possible do not out your garbage on the street the night before collection. (f) Pick up any dropped fruit (peaches, apricots, plums, figs, avocados) and pick any ripe berries. If you have garden vegetables, do not let them over ripen. Coyotes love melons. 4. Clear any dense brush from around your front or back yard. Don’t let your yard be a breeding ground for coyotes. 5. 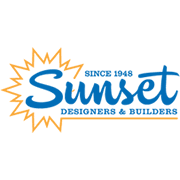 Install motion-activated lighting or sprinklers. 6. If a coyote approaches or acts aggressively, throw rocks, make noise, use an air horn, look big, and pick up small children and pets. Do not turn your back to the animal. 7. Please report any first-hand coyote sightings or pet remains to the Rossmoor Wildlife Watch Program or by phone 562.521.9453. 8. Notify Orange County Flood Control or the RCSD of any openings in fences or under fences along flood control channels or ditches.